(TORONTO, ONTARIO - July 24, 2017) — Continuing its commitment to a better world through design, Lexus International announced today its call for entries for the Lexus Design Award 2018. Launched in 2013, the award is an international platform to identify and recognize the next generation of global creators and designers. Every year, thousands of young creative talent from around the world aspire to be selected for the final round. Those twelve finalists and their works will be introduced to the design community and beyond at Milan Design Week 2018*, four of which will be mentored by established global designers and given a production budget of three million JPY (over $25K USD) to create actual prototypes. 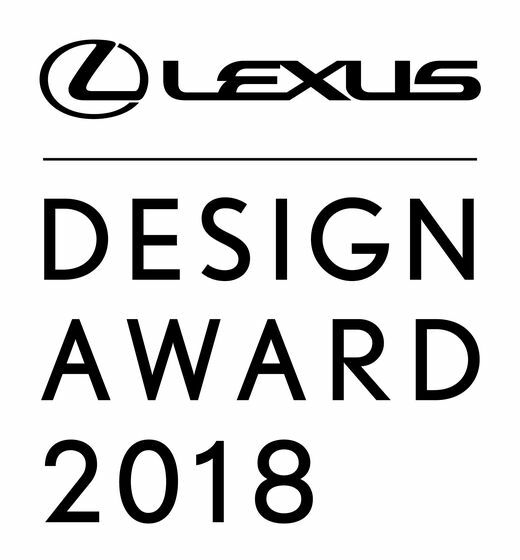 In addition to the unique mentorship opportunity and global exposure, young designers are drawn to the Lexus Design Award by the inspiring theme that provides endless possibilities from a design perspective. This year’s creative theme for the Lexus Design Award 2018 is "CO-," a Latin prefix meaning with or together in harmony. Lexus believes that great design can ensure the harmonious coexistence of nature and society. In that sense, “CO-" is an approach that allows the brand to explore its true potential and that of the environment by creating new possibilities through collaboration, coordination and connection. Now, young designers get their turn for "CO-" to inspire them to conceive a better world. The Judges who assess the designs are globally recognized illustrious creators active in diverse design genres. Additionally, mentorship is provided by esteemed designers who share their know-how and provide hands-on support. They guide the selected candidates to express their full potential through the development of working prototypes of their innovative ideas. The Judges and Mentors for the Lexus Design Award 2018 will be announced in August. As in previous years, Lexus will be partnering with a select group of renowned professionals who embody design excellence at the front lines of creativity around the world and who share the brand’s belief that great design can make the world a better place. During Milan Design Week*, all the finalists’ works will be displayed at the Lexus experiential space. Judges will then assess the four prototypes to choose the Grand Prix winner for 2018. Previous winners have gone on to enjoy success and further develop their ideas into viable products. Entries to the Lexus Design Award 2018 competition will be accepted from July 24 through October 08. For more information on the application process, please visit LexusDesignAward.com. The twelve finalists will be announced in early 2018. True to the essence of “CO-” with uniqueness in its interpretation. Consistent with the Lexus Design goal of making the world a better place. Four winners among the twelve finalists will receive up to three million yen each to cover prototype production costs. The four winners will create prototypes between January and March 2018, through sessions with their assigned mentors. The four prototypes and eight panels will be exhibited at a Lexus exhibition space during Milan Design Week 2018. Each of the twelve finalists will be asked to give a presentation at Milan Design Week 2018, after which a single Grand Prix winner will be named from among the four prototypes through final review by the judges. First launched in 2013, the Lexus Design Award is an international design competition that targets up-and-coming creators from around the world. The award seeks to foster the growth of ideas that contribute to society by supporting designers and creators whose works can help to shape a better future. It provides a unique opportunity for four finalists to work with globally recognized designers as mentors to create prototypes of their designs, and then exhibit them at one of the design calendar's most important events.